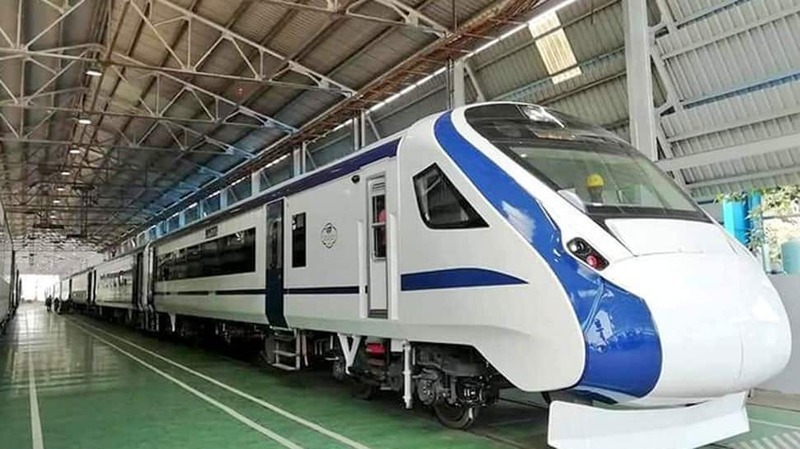 NEW DELHI: Meals on board the soon-to-be-launched Vande Bharat Express or Train 18, which will cover 755-km distance in eight hours, will not be optional for passengers, Indian Railways officials told PTI. It is to be noted that meals on board in premium trains such as Shatabdi, Rajdhani and Duronto express is optional, which means the travellers are allowed not to choose catering services offered by IRCTC. Sources told PTI that it was likely that passengers travelling the last leg on the route of this train from Allahabad to Varanasi would be given the choice of opting out of the meals provided by the Indian Railways Catering and Tourism Corporation (IRCTC). The passengers will be able to make their choice in advance while booking their tickets. But for passengers on the other routes the prices of the meals will be included in the ticket fare. The train will run from Varanasi to Delhi on its maiden journey on February 15. In 2017, the meals on board option on trains like Rajdhani, Shatabdi and Duronto was made optional by IRCTC. The decision was taken with an aim to control unfair practices of overcharging, issues of quality as well quantity. Those travelling from New Delhi to Varanasi in the executive class will have to pay Rs 399 for morning tea, breakfast and lunch, while passengers n the chair car will have to shell put Rs 344 for the same.